Lt. Gonville Bromhead (B Co. 24th. Regiment). Died of typhoid at Camp Dabhaura, Allahabad, India on 9th. February 1892. Aged 33, he was second in command of the post, under Chard, showing great gallantry throughout the defence. Gonville Bromhead came from a well-known military family. The family home was in Thurlby Hall, Newark. Born at Versailles in August 1845. 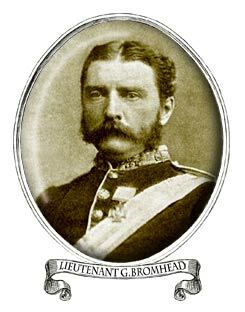 Gonville Bromhead purchased his commission as an Ensign (2nd Lieutenant) on 20th April 1867. 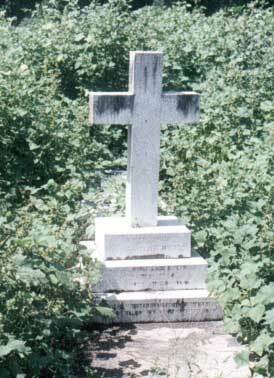 However, he would not attain the rank of Lieutenant until 28th October 1871, a rank which John Chard had held since 15th July 1868. Making Bromhead the junior officer at Rorke's Drift by three years and three months. He was aged 33 at the time of Rorke's Drift. 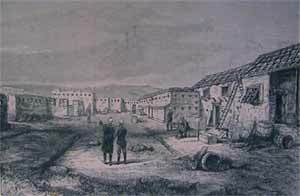 Following the defence he was appointed a brevet Major. He received his VC from Sir Garnet Wolseley at Utrecht on 22 August 1879. He later served in India and the Burma campaign. He attended two successful courses at School of Musketry, Hythe. He died, unmarried at Allahabad in February 1892. (His VC is in the SWB Museum Collection). Further Information supplied by the South Wales Borderers Museum, Brecon.